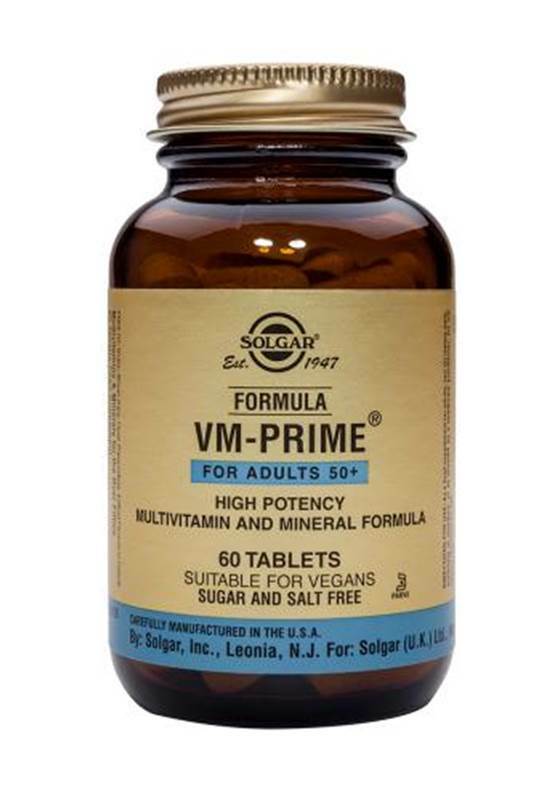 As a food supplement for adults, two (2) tablets of Solgar VM-Prime daily, preferably at mealtime, or as directed by a healthcare practitioner. Do not exceed directions for use. microcrystalline cellulose, silicon dioxide, magnesium stearate, stearic acid, cellulose gum, red beet powder, titanium dioxide, hydroxypropylmethyl cellulose, vegetable glycerin. +Fully reacted chelates, Albion process patent No. 4,599,152 Chelazomes ++Fully reacted chelates, Albion process patent No. 5,292,729 Chelazomes. 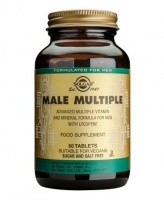 For menopausal and post-menopausal to control hot flushes and night sweats.